The China leading supplier of professional home security system and business security protection equipment. 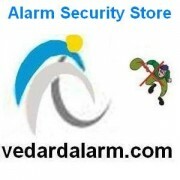 Easy shopping security equipment for self defense of home and business. Free technical support and video guidance to help installing home and business secuity system. All industry grade solar power outdoor intrusion beam system, addressable fire alarm and fire fighting system.